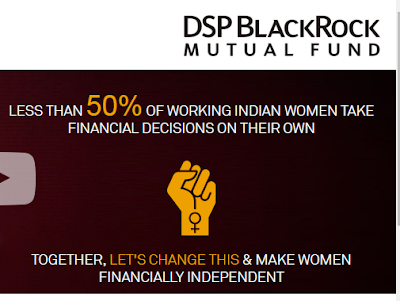 DSP BlackRock Mutual Fund, one of the premier asset management companies launched the “Take control of your finances’’ campaign under the aegis of ‘Winvestor’- an investor education initiative empowering women to take independent and informed investment decisions. The program aims at encouraging men and women to ‘Take a pledge’, to inspire women to make their own investment decisions. One can take the pledge at www.iwinvest.in. After taking a pledge, women can also register for a free counselling session on investment planning with an expert investment advisor, to equip themselves with knowledge related to investment choices and to empower themselves with a suitable financial plan. Women, as well as men, can also encourage other women to register for the session. DSP BlackRock is also actively supporting underprivileged women to take their first steps towards learning how they can start to manage their own money, through its associations with some of India’s leading NGOs including Sanchayan and Parinaam. These organizations work tirelessly to spread financial literacy among underprivileged women across India. According to leading industry reports, more than 50% of working women depend on their spouse and/ or parents for their investment decisions. The reports also suggest that women don’t feel comfortable taking investment decisions independently as they are reluctant to take risk and at times are unaware or lack confidence to make investment decisions by themselves. About DSP BlackRock Investment Managers Pvt. Ltd.